As fall approaches, the days grow shorter and the air a little crisper. These tell tale signs of the changing seasons signal the beginning of your fall clean-up chores. Cleaning both the exterior and interior of your home before winter hits ensures a comfortable and relaxing time for you and your family throughout the colder months as well as protects your investment in your NJ home remodeling projects. Use the following checklists to make sure you don’t forget any important items. • Now is the time to clean and store all of your patio furniture, children’s toys, and grills. Wash all of these items, and put them inside of a protective garage or shed. Use a rented storage space or outdoor covers if you don’t have enough space at home. 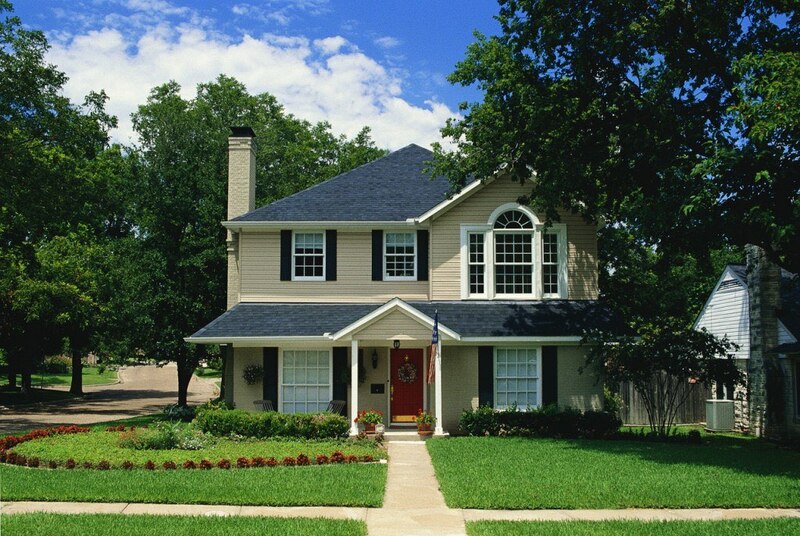 • Walk around your home’s exterior and touch up any peeling or missing paint on the trim, doors, or porch rails. • Inspect the caulk around all windows. Replace it with new if necessary. • Make sure that all of the exterior doors shut tightly. You can save energy and money by keeping the warm air from escaping the interior space. Use weather stripping to fill gaps. • While you are looking at the windows, take the time to wash the outside of the glass and sweep away dirt and debris from the ledges. • Remove your garden hose from the exterior spigot and drain it. Wind it up, and put it in a safe place until next spring. Use an insulated spigot cover to keep the exposed pipes and nozzle from freezing or deteriorating in the cold weather. • Clean all debris such as leaves and sticks from the gutters and downspouts so that melting ice and heavy rains will run off of the roof without causing damage. When ice backs up, it can work its way under the shingles where it creates leaks and destroys the roofing material. • Have all chimneys and flues cleaned and inspected by a professional to avoid the risk of fire. • Focus your energy on the main rooms of the house such as the living room, family room, guest bedroom, and entryway. • Clean each of these areas from top to bottom. Wash curtains and blinds as well as vacuum all drapes and other window treatments that cannot be laundered. Wipe out the window sills, and vacuum all baseboards. • While you have the window treatments removed, wash the glass thoroughly. • You will also need to vacuum any upholstered furniture. Don’t forget to move each piece and vacuum the floor underneath as well. • Turn all mattresses. If they can be flipped over, do so. Otherwise, simply swing the mattress around so that the foot of it now rests at the head of the bed. • Wash all bedding. This includes the seldom laundered items like duvets and mattress pads. Take dry clean only items to a professional. Put all lightweight blankets in storage, and replace them with heavy, cozier quilts and throws. • This is the time of year to schedule a professional carpet cleaning too. Make your appointment early, as these companies get busier as the holidays approach. You can also rent carpet cleaning machines to do it yourself or purchase a steam cleaner to keep on hand. • Speaking of the coming holidays, autumn is the perfect time to clean and organize the kitchen. Clean out cabinets and cupboards, and make sure you have all of the pans, baking supplies, and containers needed for Thanksgiving and Christmas meals and treats. • You can make holiday baking even easier by cleaning off the kitchen countertops. Remove small appliances that are not used weekly. This gives you more workspace and looks nicer. • Pull out the refrigerator and scrub the walls and floor behind it. Vacuum off the condenser and coils before putting it back in place. • Wash all lighting fixtures. Wipe bases with a clean cloth, and wash glass globes in dish detergent. • Inspect all of your household appliances to ensure that they are functioning properly. Stock up on supplies like salt for the water softener. • After all of this cleaning, check and empty the central vacuum system’s collection area. If you are using an upright vacuum, take apart all canisters, filters, and attachments. Wash each piece and dry thoroughly before putting it back together. • Clean any electronic air cleaning machines or humidifiers. This keeps allergens and bacteria from re-circulating throughout your home. • Inspect the hoses on your washing machine. Look for bulges, cracks, and splits. Replace the hose when necessary or every two years. • Check the dryer exhaust for any build-up of lint. Clean it out carefully, and make sure the exterior vent closes tightly when not in use. • You need to schedule a cleaning and inspection of your main heating system before the temperature drops. Stock up on filters, and replace them routinely throughout fall and winter. • Drain any sediment from your home’s hot water heater. If it builds up, it can shorten the heater’s lifespan. 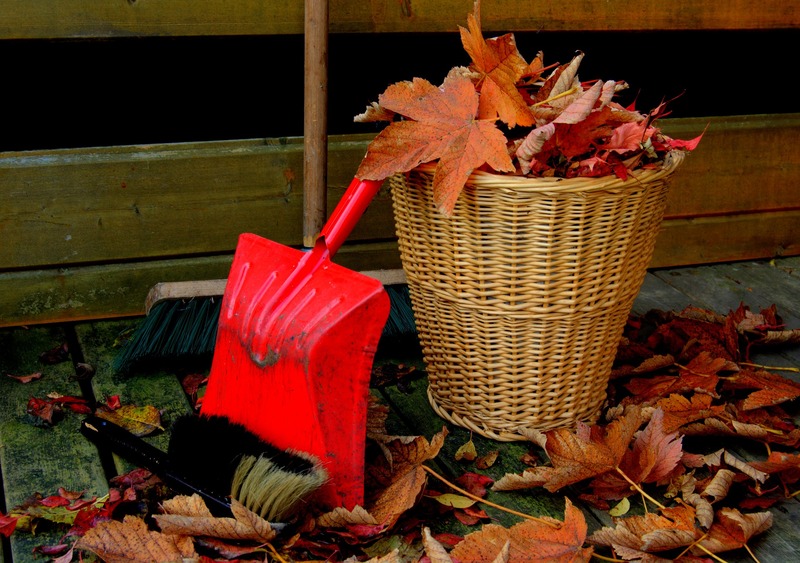 Need help completing your fall cleaning checklist? We see the signs of fall all around us. With home ownership comes seasonal maintenance. 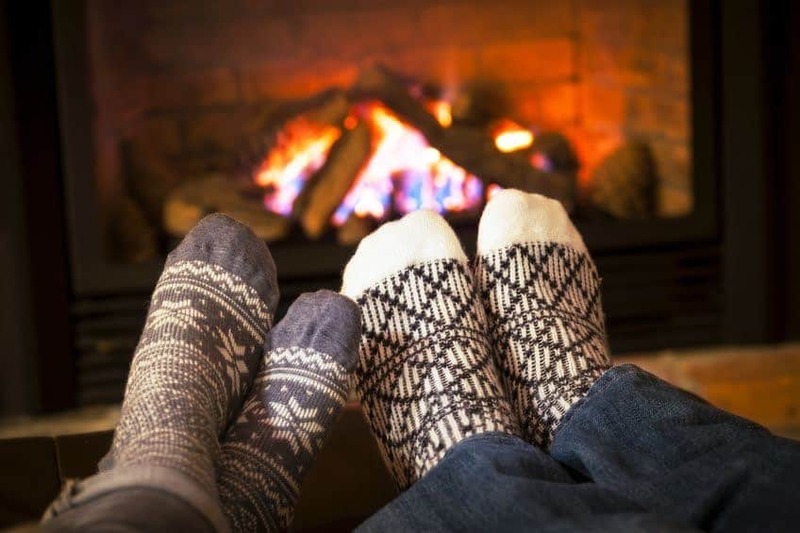 Know what to do to get your home prepared for cooler weather. Check home safety devices. The batteries in smoke detectors and carbon monoxide devices should be replaced. Test all devices. Winterize your air conditioning. A central air unit requires a cover on the outdoor unit. Window units should be removed or covered to prevent a blast of cold air. Inspect your furnace. An HVAC professional can check for leaks, heating efficiency and change the filter, in addition to running a carbon monoxide check. Prepare humidifiers. 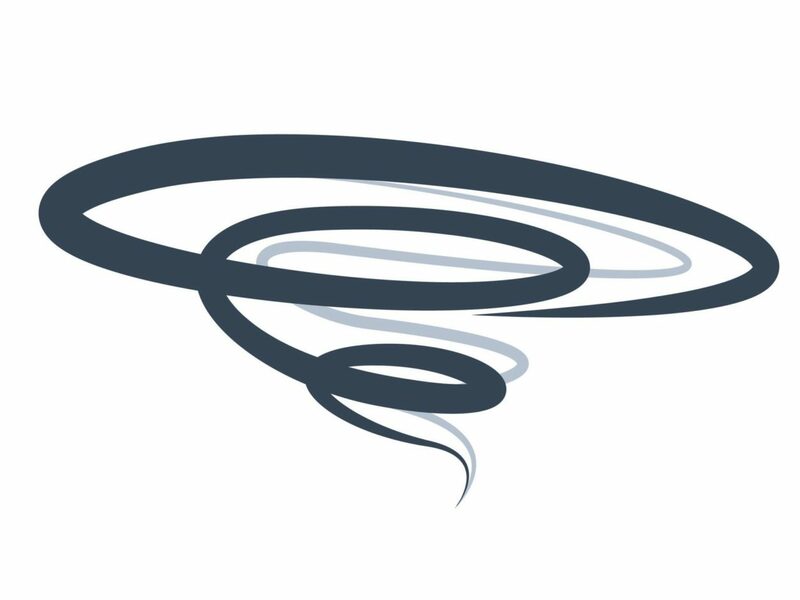 Humidifiers are often used when the air becomes too dry to be comfortable during cooler periods. Ensure that their contribution is clean and safe. Replace any old filters. Clean inner compartments with vinegar or another solution. Clean out the gutters. Remove leaves, debris, and nests from gutters and look carefully for any leaks. You can either do this yourself or hire a service to handle it for you. Check the siding. 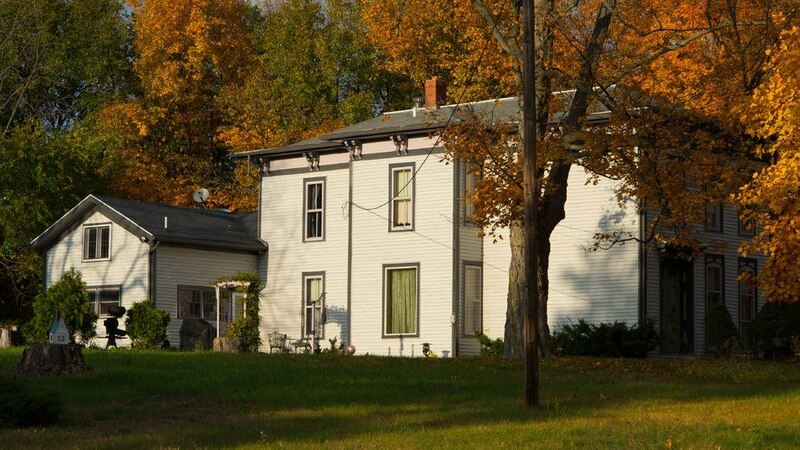 Look for signs of cracks or holes in the siding. Minor issues can be repaired yourself or you can contract a professional to help. Look over your roof. Perform a visual inspection from the ground. You can use a pair of binoculars to see your roof in more detail or climb up on a ladder to get a good view. Be on the lookout for loose, cracked or missing shingles. Flat roofs might require the removal of built-up debris. Review your water drainage systems. Remove any obstructions from downspouts and make sure that water is able to move away from the foundation of your home, your driveway or walkways. An additional extension may be necessary to direct the accumulated rainwater away from the home. Inspect your sprinklers and irrigation system. Ensuring that the irrigation system is drained and checked is necessary in colder climates. A professional should perform repairs and mark those sprinkler heads close to a snow removal area. Maintain the chimney and fireplace. For homeowners that enjoy a wood fireplace, the chimney needs to be cleaned and professionally inspected. Change and repair windows and doors. Storm windows and doors should replace screens. All caulk and seals need to be inspected around doors and windows. While there, check for drafts as well. Minor caulking can be done yourself. Ensure the integrity of your investment with seasonal maintenance. With a potentially hazardous hurricane on the way, it’s important we all prepare for the worst. As major coastal towns and cities have made preparations, we must also ensure we are prepared in the home. Power up: Ensure that all of your battery powered devices are charged, and that you purchase extra batteries. These include cellphones, flashlights, and radios. For families with many portable electronics, you may want to consider picking up some of these portable batteries. Stay hydrated: Hope for the best and prepare for the worst. Purchase enough water so that each family member will have multiple litres per day during the duration of the storm. Tap water may become contaminated during major storms. Gas up: Gas up your car, and fill your propane tank. This will allow your family an escape route if needed as well as a means to prepare food and purify water. 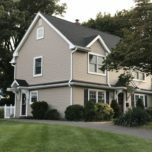 Tend to the yard: While this may not be top-of-mind for many in this type of situation, it is important to make sure your yard is free of materials that may cause harm to the home or others. Ensure your lawn furniture is secured or brought into the garage. Additionally, remove all loose limbs from trees. It’s better you take them down than the hurricane winds pull them down, causing damage. Hit the ATM: While we are used to living in a plastic powered world, many establishments may lose power during this upcoming storm. Ensure you have enough cash on hand for whatever you may need. Spring is in full swing and many home owners have been partaking in the normal cleaning routine for the season. One aspect of spring cleaning often overlooked? Gutters. Failing to clean your gutters properly can result in home damage, particularly your roof. Additionally, unattended debris can serve as a structural and fire hazard. 2. Set up your ladder in a secure fashion: We recommend always having a spotter at the bottom of the ladder just in case it slips loose. The last thing you want is to get injured while cleaning. 3. Take one initial pass down the side of the home: Move your ladder in the appropriate direction each time you extend to arm’s reach (don’t overextend). Scoop out debris and place it in the bucket. 5. Clean off buildup: Those of you concerned with the appearance of your gutters can make another pass along using the same bucket, but this time filled with cleaning solution. 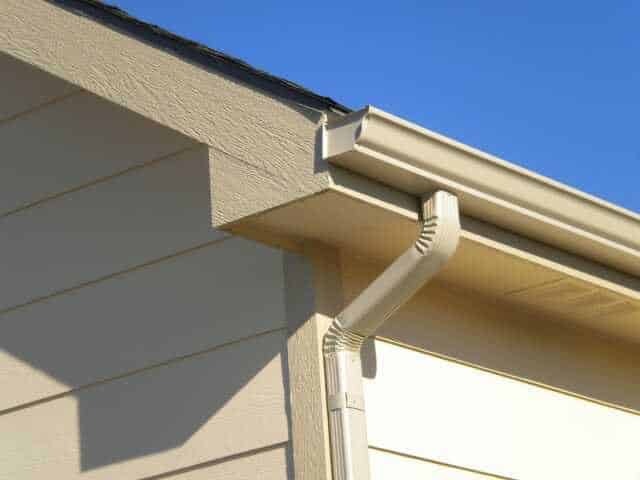 Scrub your gutters to get rid of any buildup. 6. Rinse your gutters: This will ensure they are draining properly as well as wash off any cleaning solution if you decided to move forward with scrubbing. We hope these instructions were helpful. Though a relatively easy task, it’s one forgotten far too often. 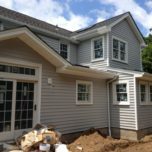 If you are interested in partaking in a bit more than a “sprucing up” this season, contact us for all of your NJ home remodeling and home addition project needs! Now that it finally feels like spring, many people are flocking to the great outdoors to enjoy the new warm weather. This winter was a long one, and we couldn’t be happier that the spring has finally shown itself! 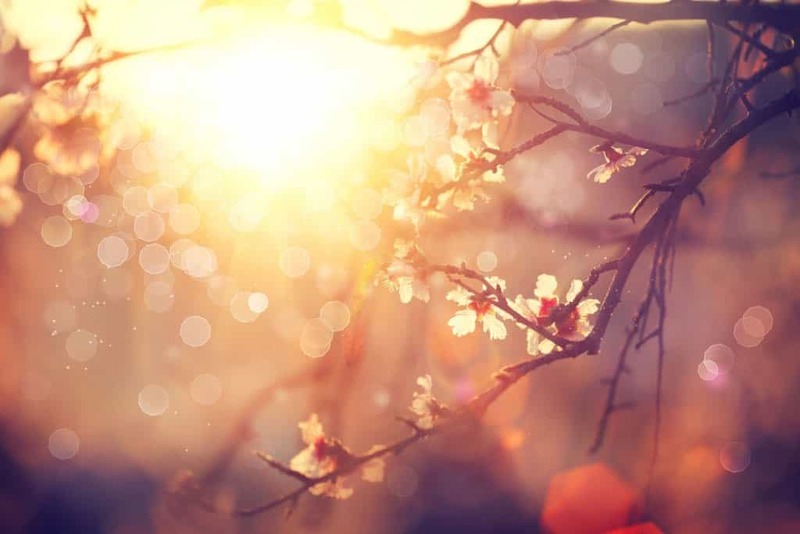 Although the coming of spring is a very exciting time of year, we must remember that just as we took precautions for our homes at the beginning this winter – we must partake in some spring maintenance and check-up tasks as well. 1. Examine your gutters – The constant freezing and thawing may have sparked some leaks. These leaks can be damaging to your home. 2. 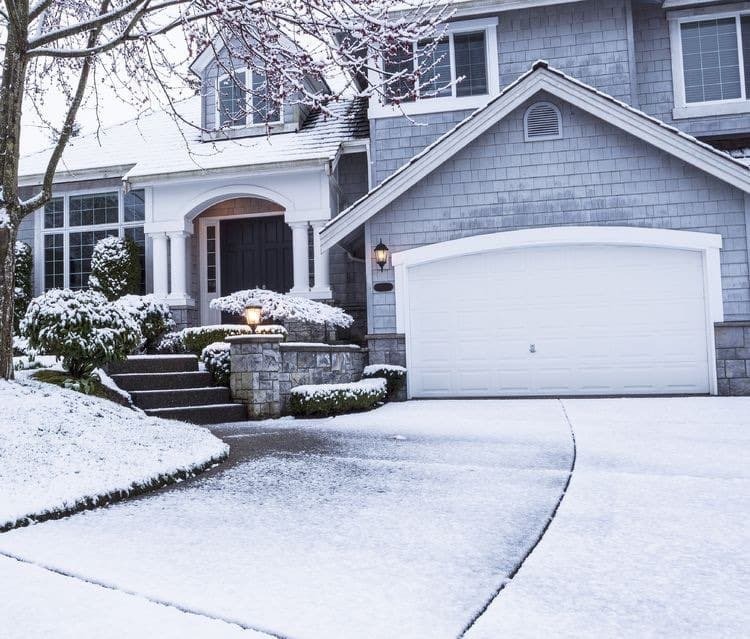 Examine your roof – The winter may have damages some shingles. Any missing or broken pieces should be replaced immediately as to maintain proper protection of the home. 3. Clean your chimney – Now that the winter has come to an end, it’s the perfect time to clean the chimney for a fresh start next time around. 4. Check water sources – All hoses, outdoor faucets, and other pipes should be checked for breaks. If any liquid was left inside over the winter, it could have cause breaks or bursts. 5. 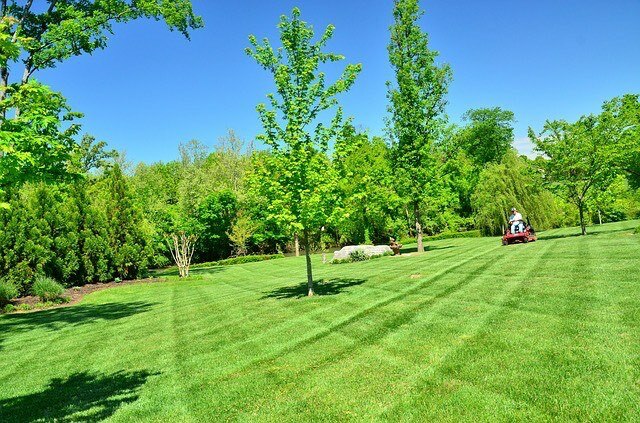 Prepare your lawn equipment – Ensure all landscaping and lawn equipment is ready to use for your spring and summer yard work. We hope these tips were helpful! If you are looking to have any NJ home remodeling projects completed during this beautiful season, don’t hesitate to get in touch! Whoever said that spring cleaning was about dusting the rooms, shining the banister, and donating old clothes, never thought about the perks of redesigning your kitchen. 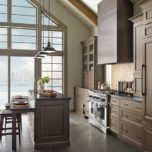 At Trade Mark Design & Build, we believe that spring cleaning should be about making your current home into something from your dreams through these simple NJ kitchen remodeling tips. Did you know that the average American will spend 27 minutes each day making meals? That’s 189 minutes a week, 756 minutes a month, and 9072 minutes a year or 151.2 hours per year in the kitchen. With this in mind, we think that a kitchen should be a work of art – a place where you can enjoy your time with family and friends. 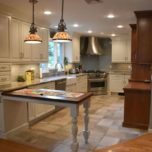 As you think about your next home remodeling project in NJ, here are a few tips to guide you towards a beautiful kitchen. Make room for storage – All too often people complain that they don’t have enough room for kitchen storage. As you begin your NJ kitchen remodeling ventures, be sure to think about what type of cabinets will offer you the most storage space. 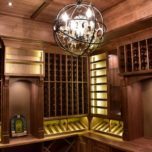 Do you want to have a built in wine rack or are you thinking of creating wine rooms in your basement? Perhaps you would like to install a hanging pot rack to make your kitchen seem like a professional chef’s cook area? No matter the style, storage space is key! Add light – If your kitchen doesn’t receive enough natural light, be sure to add in additional light fixtures. No one wants to cook in a dark kitchen. 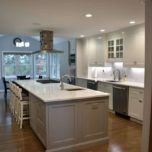 From under-the-cabinet lighting, to hidden light switches and dangling chandeliers the lighting options are practically endless. Up the ante with counter space. 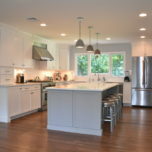 – In our NJ kitchen remodeling experience, the words “too much counter space” have never been uttered. 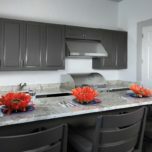 With this in mind, we recommend increasing counter space and choosing a surface that is easy to work with and maintain. 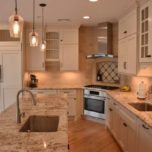 Save room for trash and recycling bins – Have you ever stepped into a beautiful kitchen and wondered why there was a giant trash can huddled in the corner? Chances are, the owners forgot to leave trash and recycling bin storage space. Think about the small details – When it comes to home remodeling in NJ, we believe that even the smallest of details matter. From hand-painted backsplash tiles, to the quality of cabinet wood, to updating a kitchen’s flooring, no detail is too small. Well there you have it, five easy tips to help you make your home into a better living space. Stay tuned to our blog as we continue to discuss our future home remodeling in NJ projects and other helpful home advice!